•	A video documentary about the conversion to an event trailer will be available online from 1 April. A decommissioned box semi-trailer, a haulage contractor with a seemingly impossible task, a workshop professional who accepts any challenge and a parts dealer with a great passion for the commercial vehicle business - these are the ingredients for an exciting video documentary, which EUROPART will produce in the months ahead and publish online at www.vollblut.net as well as on Facebook and other social media channels. It sounds like an almost unmanageable task confronting the transport entrepreneur Daniel Schewe, known from the DMAX documentary series Asphalt-Cowboys, and his friend, workshop operator Nico Fischer from Hagen: In just four months, a rundown box semi-trailer will be transformed into a chic event trailer with all the trimmings. Commercial vehicle professional Nico Fischer accepts the challenge. In front of the camera, passionate trucker Schewe and passionate mechanic Fischer disassemble the old trailer, improve axles and brakes, repair the air-lines and electrical system, and step by step transform the superstructure into a mobile stage. As EUROPART CEO Olaf Giesen states "Passionate truckers and passionate mechanics such as Daniel Schewe and Nico Fischer are the ones who make the impossible possible in everyday life with transport operations and the workshop, and ensure that despite occasional technical faults and breakdowns, the goods we all need on a daily basis are delivered reliably and on time." "It is this passion that connects us with our customers. With the 'Vollblut' project we would like to acknowledge the special achievements of all workshop professionals and their customers in the transport industry. "Despite all the seriousness of what goes on in the background, the fact that this can succeed in quite an entertaining way and with a wink, is presented by EUROPART with their 'Vollblut' project and the videos produced from it are proof of this. Action-packed and exciting, the video documentary tells the story of the trailer conversion from the initial idea to completion (hopefully on time). With Nico Fischer and Daniel Schewe, EUROPART has not only been able to gain two long-standing customers from the local area around the main office in Hagen, but also two protagonists who have a lot of experience with unusual challenges. For example, Nico Fischer has won several rally raid championships as a rally driver and as 'car chief' he was also the head of a team of racing mechanics in the European Truck Race Championship. As the 39-year-old workshop and vehicle construction professional states, "Every challenge appeals to me, and the bigger the challenge, the greater the appeal." "We have already built a number of vehicles for the Truck Grand Prix, but never a complete semi-trailer on the scale of a show and party truck." Daniel Schewe, on the other hand, has plenty of television experience. As an 'Asphalt Cowboy', the 44-year-old trucker and trained forwarding agent has been in front of the camera several times in the series of the same name, aired on the DMAX channel. The proud owner of a Scania R500 V8, lavishly spruced up with plenty of paint, lights and chrome, he not only has a heart for heavy trucks, but also has a lot of fun working as a mechanic. As Schewe knows, "We have to hurry up if we want to achieve our goal of completing the Truck Grand Prix on 18th July 2019." But the transport entrepreneur is confident: "Teamed up with Nico Fischer and with the support of EUROPART, we are unbeatable. Even if it gets hard and it costs us some busy weekends and sleepless nights, we'll do it." EUROPART is not only the source of inspiration for the unusual campaign in the field of mechanics under the slogan 'Vollblut'. Europe's leading dealer for commercial vehicle parts and workshop supplies also provides the spare parts that are required, e.g. brakes, compressed air valves and electrical components. It also supplies tools, lubricants, rust removers and other workshop supplies from the extensive EUROPART product range. EUROPART wants to use the finished show trailer as a show stage and for training sessions at the Truck Grand Prix (at the Nürburgring between 18th – 21st July 2019) as well as other events. Overall, several detailed videos are intended relating to the conversion of the box semi-trailer to the event trailer. Although the first video (to be broadcast on 1st April 2019) will document the start of the campaign and the first major work on the vehicle in an exciting manner, the second episode will show the complicated conversion of the interior with all its challenges. The end of the series will feature another video about the completion and use of the trailer at the Truck Grand Prix. 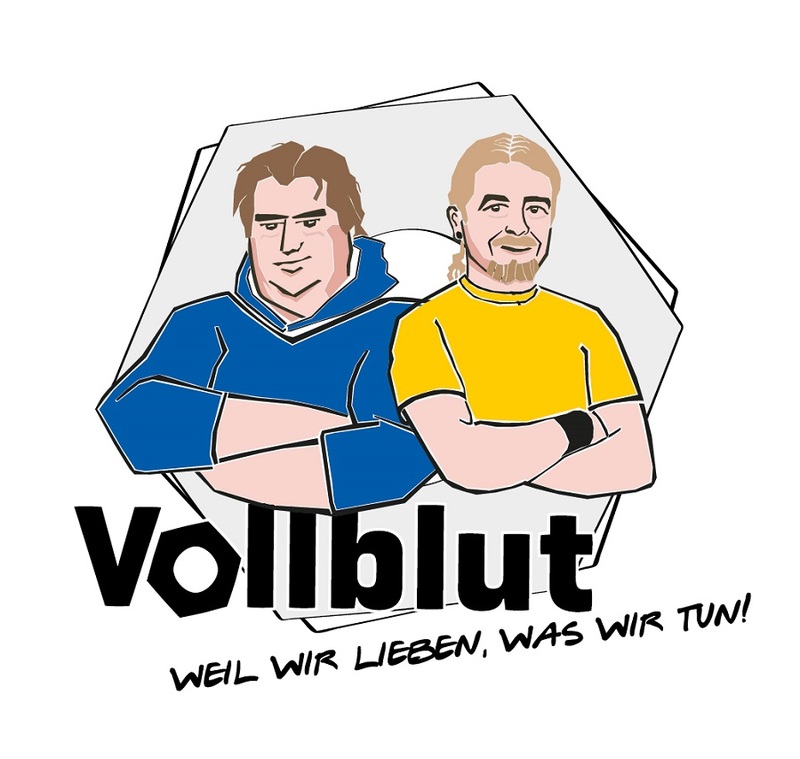 All videos and further information about the campaign is now available at www.vollblut.net and at facebook.com/europartgroup.